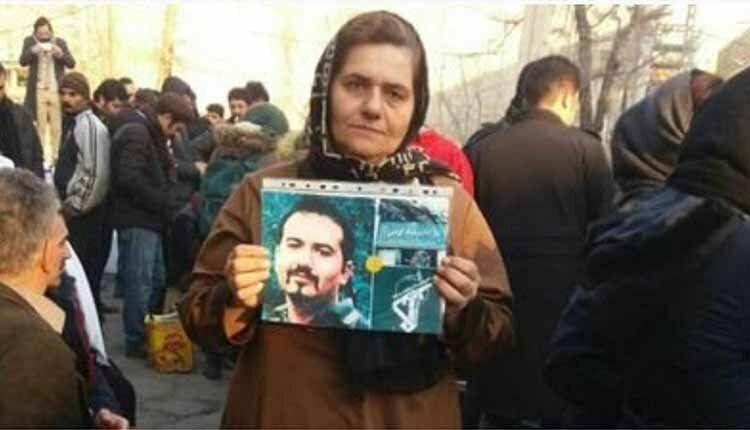 With the public outcry over torture in Iran’s detention centers, Farangis Mazloumi mother of political prisoner Soheil Arabi, recounts her experience of daily torture saying she is being tortured every day and every night. “Soheil was even weaker and slimmer than before. Bleeding and nasal pain tormented him and toothache and cold were added. There is still no sign of a doctor and hospital. The medical file for the breaking of his nose has been completely destroyed so that there would be no evidence of it, but it is obvious from his appearance. Every Wednesday I’m tortured, too, and I am even tortured throughout the week. We’re deprived of phone calls, until the visiting day, which every time I go with fright, fearing that visits will be banned once again. Iranian labor activist Esmail Bakhshi’s letter concerning torture, persecution, and maltreatment at the country’s prisons, provoked a wave of revelations about torture committed against political prisoners and prisoners of conscience. Under the Farsi hashtag “I was also tortured, too” many activists joined the tortured union leader in exposing abuse in prisons. Political prisoner Sohail Arabi, held in the Greater Tehran Prison, joined the campaign describing how he has been suffering from intense bleeding due to a broken nose, yet the authorities are refusing to allow him to seek medical treatment. For months, Arabi has been deprived from any medical care or surgery, literally placing him under torture for several months now. It is worth noting that Haj Moradi, warden of the Greater Tehran Prison, issued orders back in June of last year to have political prisoner Sohail Arabi transferred to ward 2A of the notorious Evin Prison in the country’s capital, Tehran. This ward is under the direct control of the Revolutionary Guards (IRGC) and Arabi was placed under constant interrogation. The interrogators placed this political prisoner under torture and he suffered a broken nose that he has been forced to bear ever since. Arabi was initially taken to the Khomeini Hospital only to be returned to the Greater Tehran Prison without being allowed to undergo surgery. The Iranian regime denies the use of torture despite thousands of reports from as early as the 80’s that prove the regime uses torture to extract forced confessions from prisoners or to break the spirit of political prisoners. Despite the regime’s claims that torture is against the law in Iran, ordinary Iranians cannot press charges when they are abused in prison. If an Iranian dares challenge the state with torture claims, they are more or less made to regret ever accusing the government of torture. Torture in the Guardianship of the Islamic Jurist, or Vilayat-e Faqih in Persian, is not comparable to torture in any other country. The extent of the brutality of torture is entwined in the essence and ideology of the state, which it defines as “Tazir”, invented by the founder of the Islamic Republic, Ruhollah Khomeini. Despite this, torture in all its forms have been used during the Islamic Republic’s almost 40 years of existence. The use of torture is so prevalent that the United Nations has adopted 65 resolutions condemning Iran’s use of torture and other human rights violations.